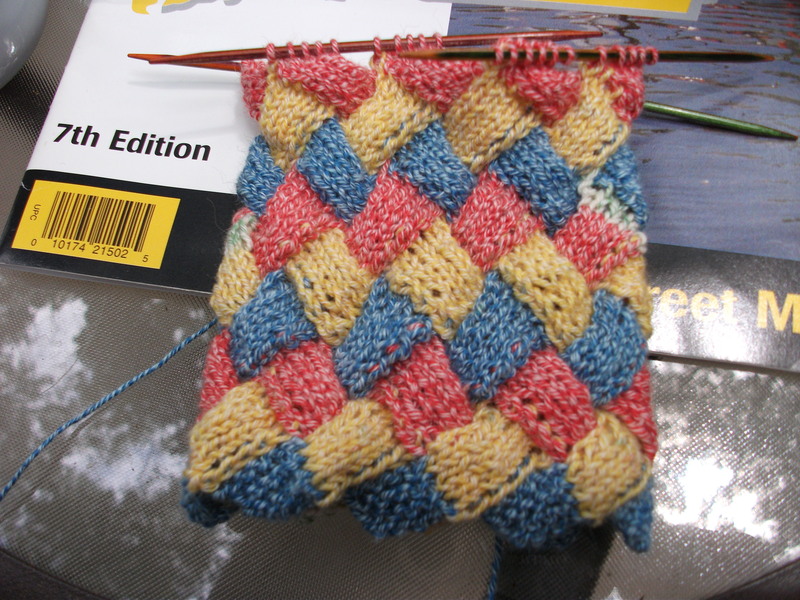 I love entrelac and when I saw the ones in Think Outside the Socks, knew I had to make them. 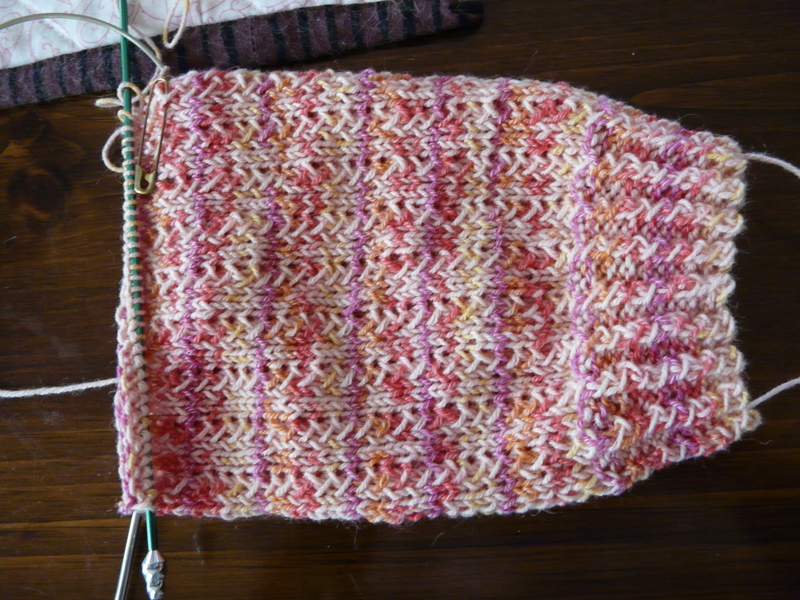 I am using Carnival from Sockotta which may be why the stitches are a little crappy. I am not making them as long as the pattern. These are summer socks and are not for warmth. People are supposed to say, “Oh, what cute socks” and look at me kind of funny. Don’t worry. I’m used to it. But, I bet my feet are prettier than theirs. My enterlac has been looking pretty ratty lately. I think it’s nearly twenty years old, so it’s time for a new one. I was thinking about using the Colinette that’s in the next drawer so I was looking around for a pattern or inspiration. 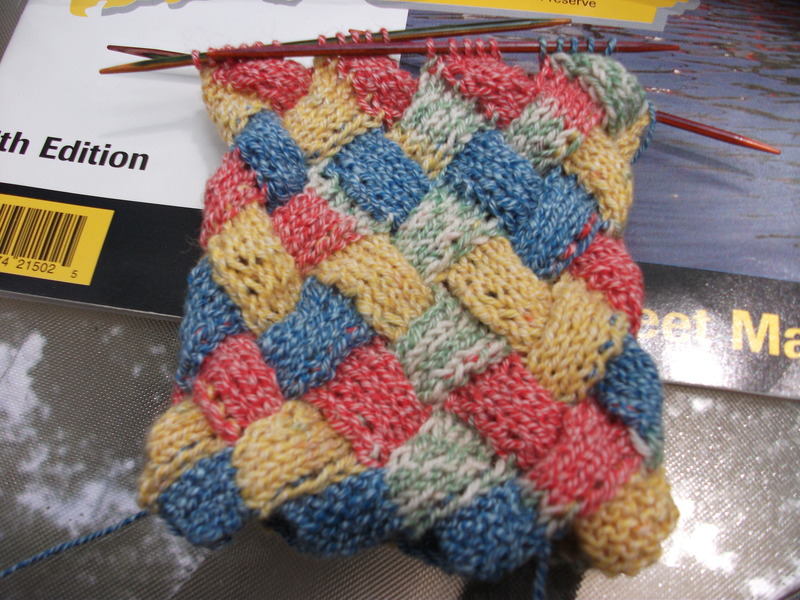 Well, I discovered that two books on entrelac are coming out in the Fall. So, I’ll wait and see if they are any good. In the meantime, I’ll use the Colinette for a striped V-neck pullover which was my original intent. It will probably be a side to side because it’s easier to size as you go along. 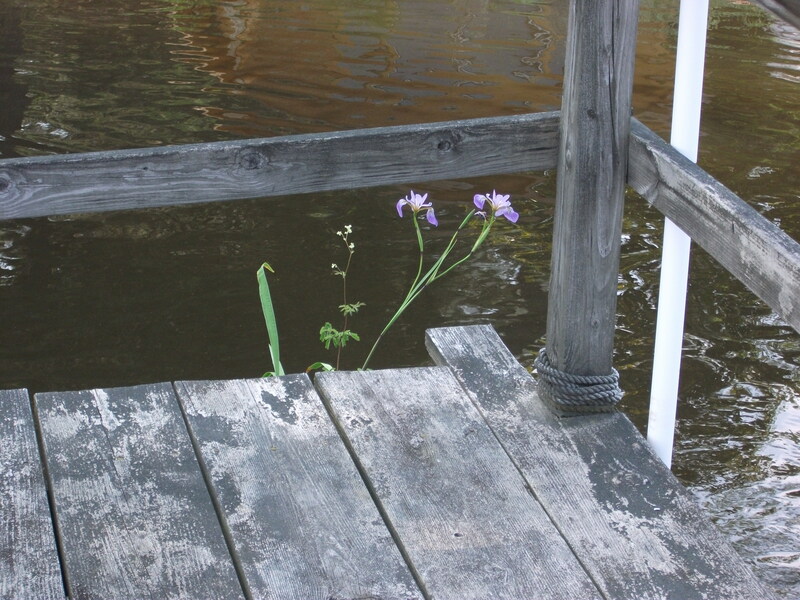 I was surprised to see these this Iris growing out of the side of the old pier. I’m so glad I had my camera. My red white and blue socks should be finished in another day or two. I really like them. I should write down the changes(improvements?) before too long. 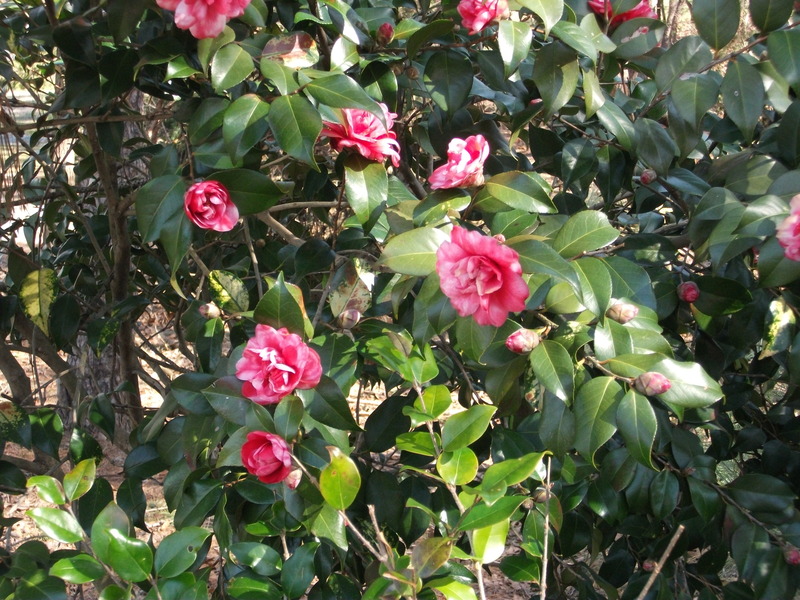 It depends on the weather. 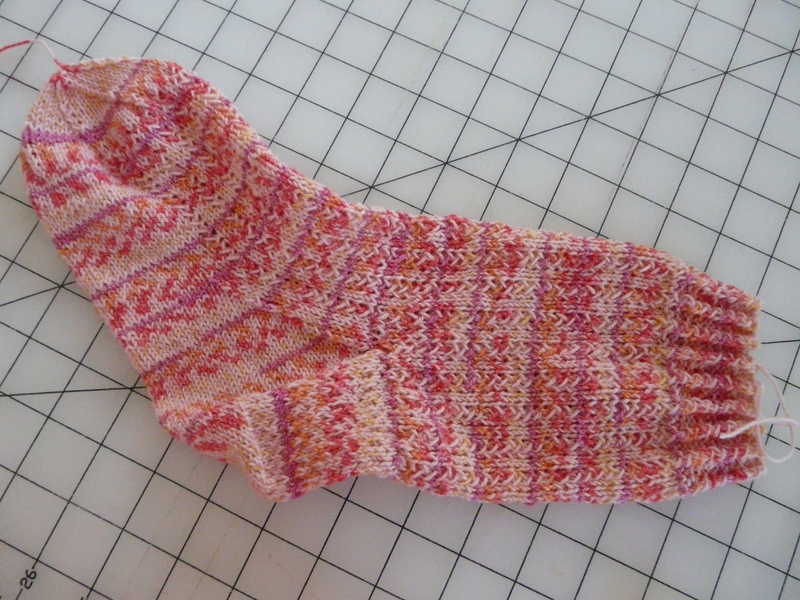 I want to make another pair of cotton socks next. 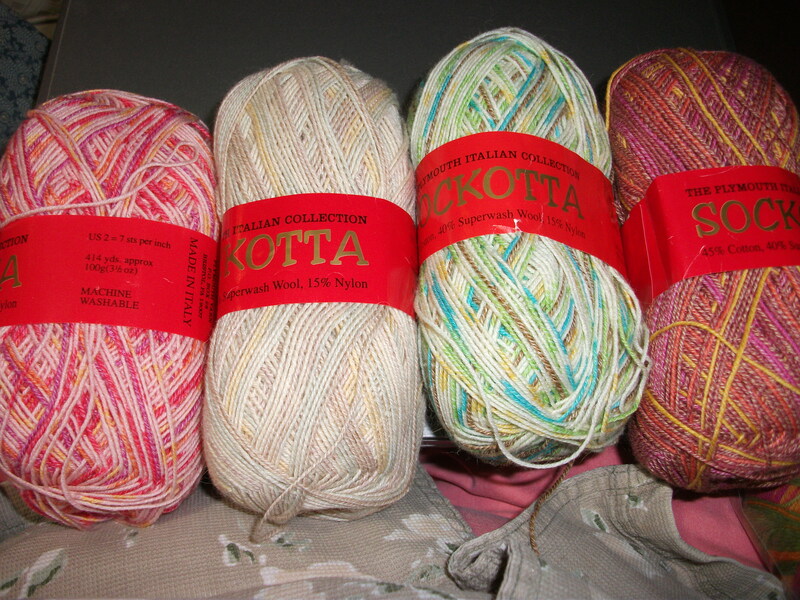 I’ve got five skeins of Sockotta and some Pannda Silk in yellow. I have to make up my mind! 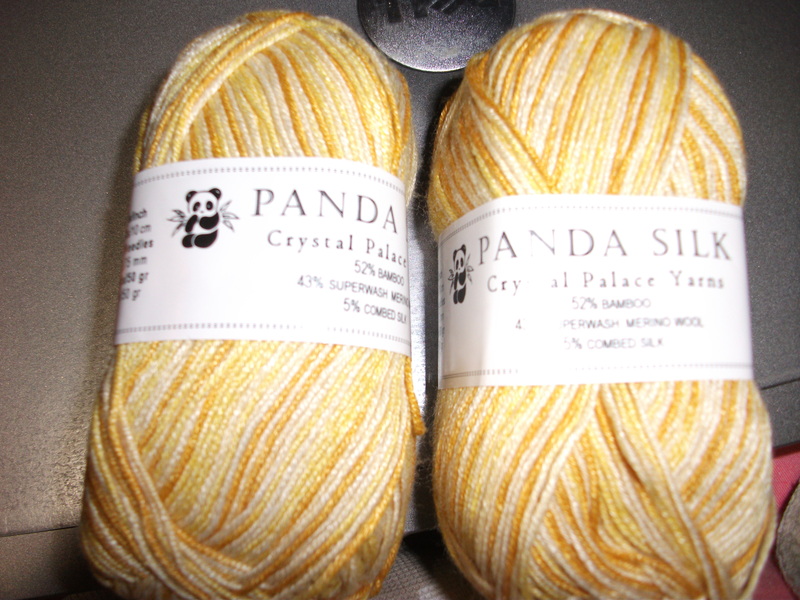 The panda Silk is yellow and very soft, but I’ve never made socks with it. I’m very familiar with Sockotta. After I took this picture, I realized I had another skein in red, yellow and blue. Even after I make my decision, I have to decide on the pattern. And I just bought Think Outside the Socks. Do you have any idea how many I want to make in that book? After the socks, it’s time for another sweater. I have a three drawer plastic storage cabinet in my bedroom. We keep the telephone on it. Each drawer contains a sweater’s worth of yarn. I’m going to make these next. I’m not going to go into the yarn room for any yarn. I hope.